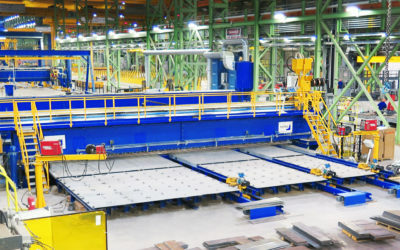 The key to a successful production is efficient welding positioner. In welding work, positioners are essential aid in increasing working flexibility, productivity and quality, not to mention labour motivation. When combined with wireless PEMA remote control, all of the movements can be managed easily and safely. 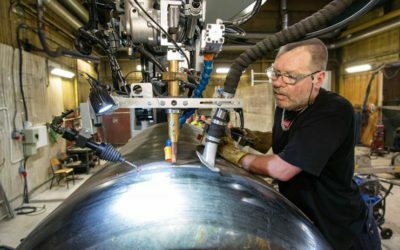 The main advantage of PEMA positioners is that work-pieces can always be set up to the best possible welding positions. 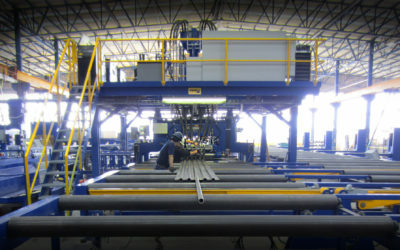 As a result welding productivity can be raised by as much as 70%. 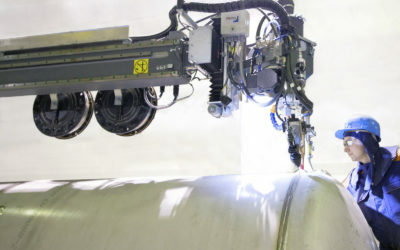 For effective welding work, Pemamek has developed a wide range of positioners that all combine modern design with reliable, efficient technology. In PEMA design, special attention has been paid to safety-at-work and ergonomy. Convenience in use is ensured by several features, such as a light remote control. PEMA positioner capacities range from 250 kg up to a massive 70 000kg. Thanks to this wide range, each user is able to find an ideal positioner for their needs. Rotary welding positioners specifically designed to lift, rotate and tilt heavy work-pieces with complex geometries. When extra heavy objetcts are handled, Megamaster does the job. Loads can vary from 25,000 to 250,000 kg. For long and revolving objects such as wind towers. Loading capacities range from 3 500-40 000 kg. The beauty of Skyhook is based on its flexibility. It is built to handle even the most complex geometries as well as lift them in different altitudes. The positioner can be rotated 360 degrees.